For the time being, Pleasure Island is a shadow of its former self. 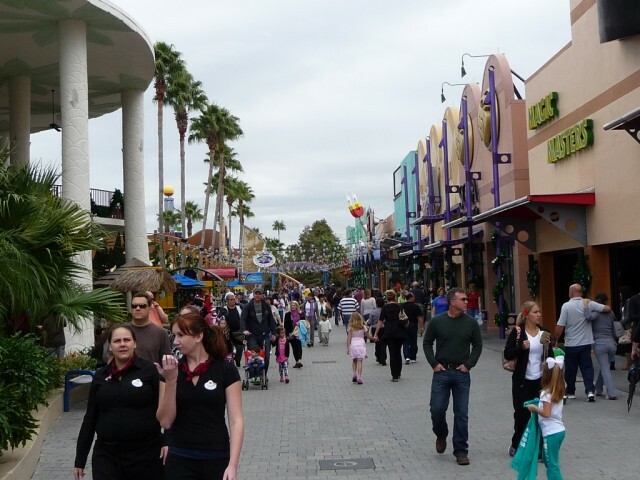 It was in June of 2008 that Walt Disney World Resort announced that Pleasure Island would change dramatically, with the closing down of all its night clubs and comedy clubs in September of that year. Since then there have been major changes, although the work is ongoing. 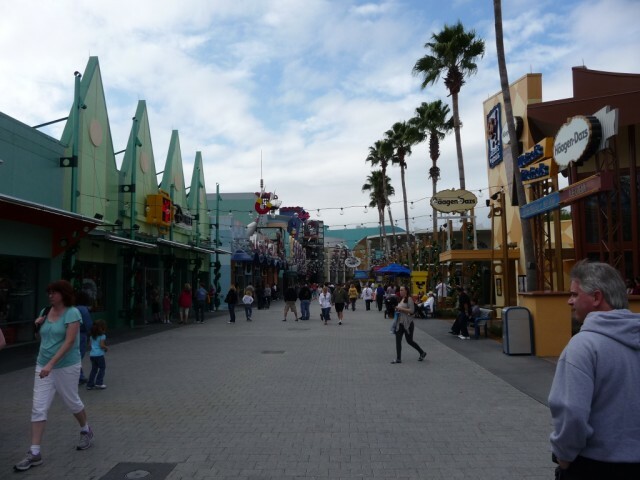 There are still empty buildings and roped off areas, and some would say that Pleasure Island has lost its heart. But Disney World has a plan, to return this area to a more family friendly venue, and the days of clubbing are gone forever. There is no doubt that the new and revamped Pleasure Island will offer a different but interesting experience for all the family. Pleasure Island officially opened in May, 1989, and by the next year it featured a New Year’s Eve show with fireworks, and a street party. Although you had to pay a fee to enter the clubs, access to the restaurants was free. The history of Pleasure Island was commemorated on 26 plaques which were placed around the island. Few people would have even noticed these plaques, which were difficult to read clearly, particularly at night as they were often hidden in out of the way places, and on a black background. Now many of them have been taken down. But the plaques tell the history of each part of Pleasure Island supposedly as it was in 1989. For example, the Mississippi River Boat, which is now the Fultons Crab House Restaurant, was originally the Floating Arts Palace. According to the Imagineers’ tale this was purchased in 1911 by Merriweather Pleasure, to use as a home and entertainment centre during the construction of his manufacturing industry on Pleasure Island. It was later renamed the Empress Lilly in honour of Mrs Lillian Disney. The Imagineers also let their imaginations run riot when they spun a tale about the Fireworks Factory which later became the Wildhorse Saloon and then Motion. According to them, Merriweather had a passion for pyrotechnics, and it was this love of fireworks which led him to persuade China’s premier firework inventor (The Bang Master! ) to come to Orlando. It was here on Pleasure Island that the fireworks which formed the basis of the stupendous Independence Day displays were manufactured. Unfortunately, in 1927 a stray spark from Merriweather’s pipe set off an explosion which wrecked the factory. The noise of the explosion was, so it is said, heard in Tampa, 82 miles away! 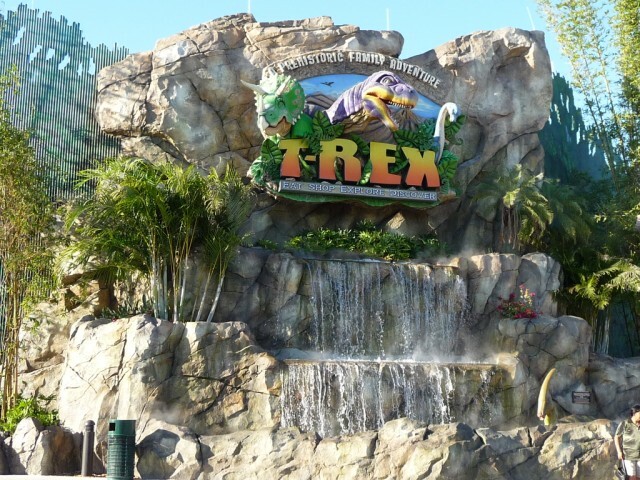 Now there are new restaurants such as Paradiso 37, Raglan Rd, an Irish pub which often has live music, and the fantastic T-Rex Cafe with moving dinosaurs and amazing themed eating areas. New shops will be opening and the whole area will take on a new persona which will be family friendly. 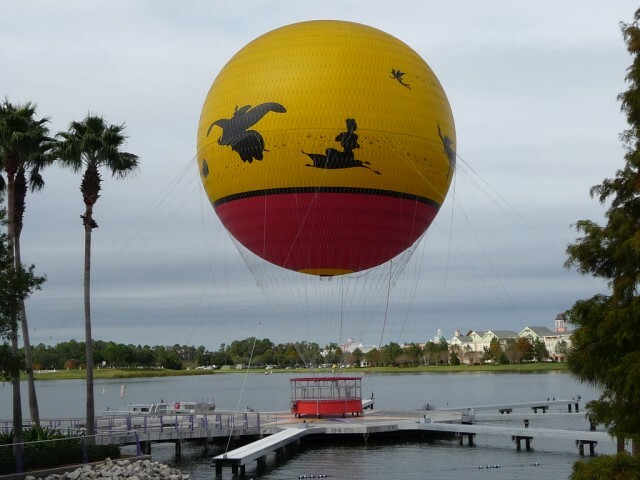 There is even a tethered balloon ride, Characters in Flight which takes you 400 ft into the air, giving guests a bird’s eye view of Downtown Disney and up to 10 miles. So if you do see Merriweather Adam Pleasure, then do let me know!